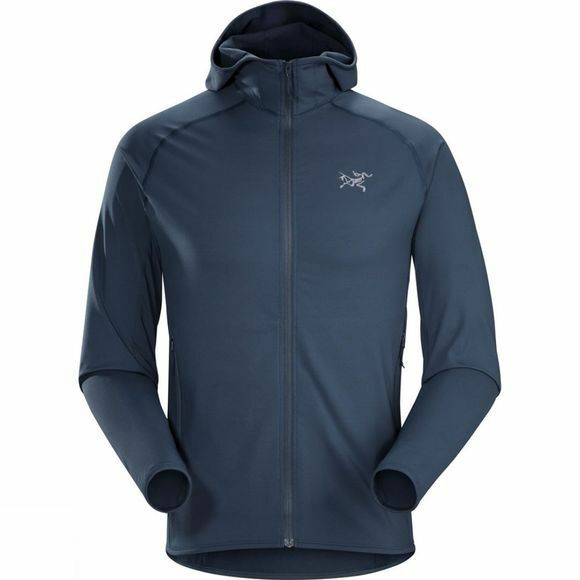 The Men's Adahy Hoody from Arc'teryx is a versatile mid layer that insulates, wicks away moisture and is soft next to the skin for all day comfort. It boasts an excellent stretch to ensure freedom of movement and is a trim fit for efficiency and an excellent fit that can layer well. Perfect for underneath a shell on wet days but also ideal as a stand alone piece when conditions are finer.